The IP-Box iPhone Password Unlock Tool is used to brute force any forgotten 4 digit password on iPhone *. Simply attach the device to the iPhone or iPad and it will give you the code within 6 seconds to 17 hours. You will then have full access to your iPhone / iPad and all user data remains intact. Either way you can get this job done for your customer by next day and no data will be lost !!! Press home key to get back to interface "slide to unlock"
This adapter is only for use with the IP-Box iPhone Password Unlock Tool. 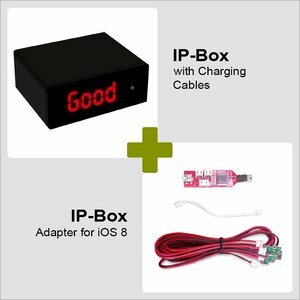 Use this adapter with IP-Box and you can brute force the passcode on iPhone iOS8. Please note: There's no warranty on this product. 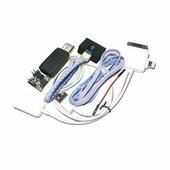 iOS 8 Adapter - 1 pc.